An AI football coach will take charge of a team in a new campaign for The Big Bang Fair, an event aimed at encouraging young people's interest in STEM (science, technology, engineering and maths) subjects. 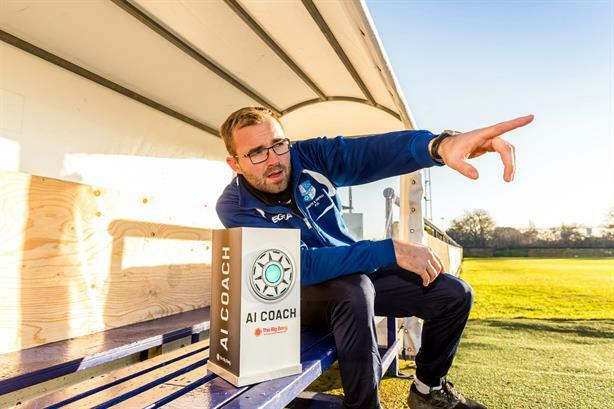 The artificial intelligence football coach will manage seventh-tier side Wingate & Finchley FC when they play Brighton’s Whitehawk FC on 9 February. The AI coach’s decisions will be relayed to the human coaching staff via voice transmission. It will recommend the club’s starting 11 formation and tactics after learning of the attributes of the Wingate & Finchley players - including fitness levels and motivation - and of the opposition. The AI can also provide recommendations and inspiration around substitutions and game play in relation to real-time scores and other developments, such as red cards. The campaign was devised by Cow, with the ‘coach’ created by a team of AI experts at GreenShoot Labs. The campaign secured over 150 pieces of coverage in the first day of its release. It comes ahead of the Big Bang UK Young Scientists & Engineers Fair, which is billed as the largest celebration of science, technology, engineering and maths for young people in the UK. It takes place from 13 to 16 March at The NEC in Birmingham. Beth Elgood, director of communications at EngineeringUK, which organises the Fair, said: "We wanted to combine the possibilities of AI with something we know a lot of young people enjoy – sport – to inspire young people. We hope the AI football coach can excite football-loving children and shine a light on the many ways STEM plays a role in our lives." Lloyd Abbott, account director at Cow, said: "As well as generating huge buzz in PR and on social for The Big Bang Fair, we’re aiming to build a lasting legacy for the idea by hopefully developing the AI football coach into an Alexa Skill that will be made available for all grassroots football teams, like Sunday league or school teams, to use as part of their set-up to games."